For some reason I'm not nearly as interested in this season as I was the last. What's the hottest weather you've ever golfed in? This past Saturday, July 7th. We teed off before 8AM and by 11:30AM, it was 102 degrees Fahrenheit. I picked her to win. Too bad... I think Marcela has this in the bag now. How often do you encounter people who smoke a joint during a round? I think I smoked one the course once or twice years and years ago. I'm a bad golfer now, back then I was just digging holes around the course, enjoying my golf cart ride. I don't smoke weed now, only because I reached a point where I was abusing every drug, legal or not. I just stopped the abuse and dropped the illegal drug use completely. If weed is ever made legal, I'll fire up again. I don't get drug tested, and I wouldn't excuse myself if anyone I was playing with lit up, but I would not partake. I would however, pay close attention to see if it affected their golf game, God knows how much beer can affect someones game! I have an app that tracks putts, fairways, sand and penalty strokes. I also write out my score as I go along, on the traditional scorecard, and there I only track total strokes and putts. My home course in Infrared. Thread title took me back in time! On my local course, one hole has a wasteland area running along the right of the fairway, it used to have a drainage pond and lots of trees, if you hit there, you were dead. They started cleaning it up, moving out dead trees, clearing out the area. It looks nice now but it's still just as bad to hit there. One day we had just teed off, I hit right there, and then I noticed the stakes and cord marking the area off, they had replanted some grass in the area where the trees and deadfall were removed. At that moment, the course owners son (The course PGA pro) came up on us and asked if we would check in when we made the turn, I assumed they just wanted to know because there was no one behind us. He asked how I was hitting, I was having a good start, bogey, par, bogey...then this crappy tee shot into the crap. He said "That's ground under repair, you get relief. Anyone asks, you just tell them a PGA pro told you!" We laughed, he drove off and I proceeded to take my relief! So what that tells me, at least at my course, if there is anything planted new, and it's staked off, then it's ground under repair! I normally golf in the mornings so my routine is: Instant Oatmeal at home, maybe a Greek Yogurt before I leave or on the road. I usually have a banana and granola bar somewhere on the front 9, and a peanut butter sandwich on the back nine. Sometimes I bring Cuties (little tangerines) for the back nine as well. I take bottle water and sometimes diet green tea. Today I had some Vita CoCo with me, but didn't drink it until after the round. I would most likely drink that during the round on really really hot days where I'm sweating. I'm still hungry after the round, but I usually don't have issues with energy. I'm 45 years old and in fairly decent shape. I walk the course, usually pulling the clubs, sometimes carrying. 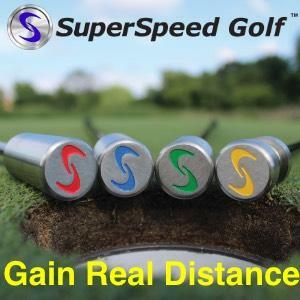 Can you play a round of golf with 5 people?